A Certified Pre-owned Car or SUV must meet age, mileage, and inspection requirements to enter the program. While used models might have an original warranty that still applies, a Certified Pre-Owned vehicle adds an extended limited warranty. A dealership only sells Certified Pre-Owned vehicles from their specific brand. A car that’s Certified Pre-Owned approved will usually cost more than an identical used model. Discover more differences between Certified Pre-Owned and used vehicles today! In addition, 24/7 Personal Roadside Assistance will take care of you if a breakdown occurs in Merced, CA and beyond. When Should I Consider a Used Vehicle? 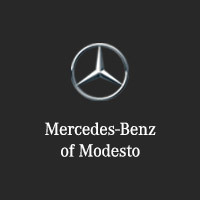 While Mercedes-Benz of Modesto offers plenty of used Mercedes-Benz options, they also carry used vehicles from a variety of other manufacturers. A used vehicle will often cost less that a similar Certified Pre-Owned offering. If you’re looking for a bargain, it’s a strong option. Both used and Certified Pre-Owned vehicles receive the same top-notch customer service and attention that all of our buyers receive. There are plenty of reasons to choose us for your used or Certified Pre-Owned needs. After all, there are plenty of reasons to choose us in general! For more information, contact us today! 0 comment(s) so far on Which is Right for Me: A Certified Pre-Owned Vehicle or a Used Vehicle?